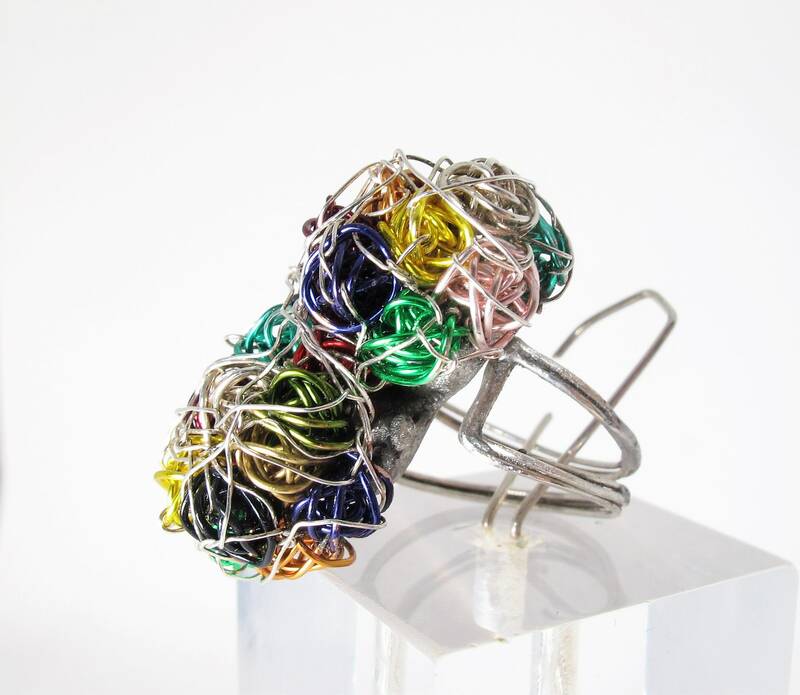 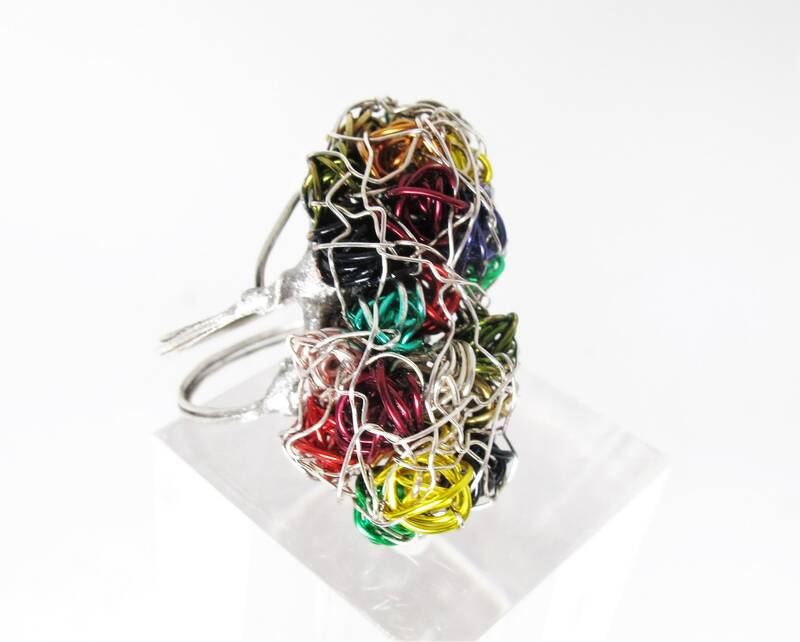 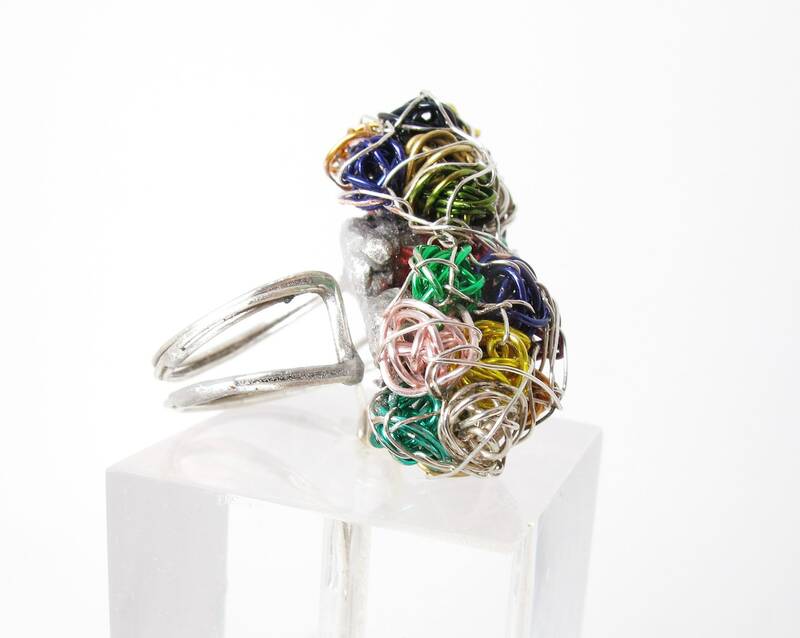 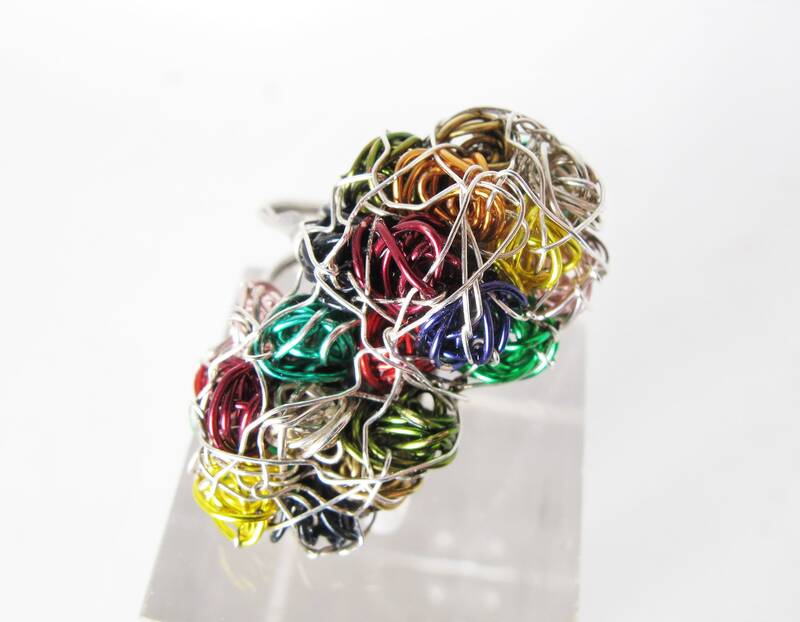 Modern flower ring for women, handmade ​​of colored copper wire and solid silver. 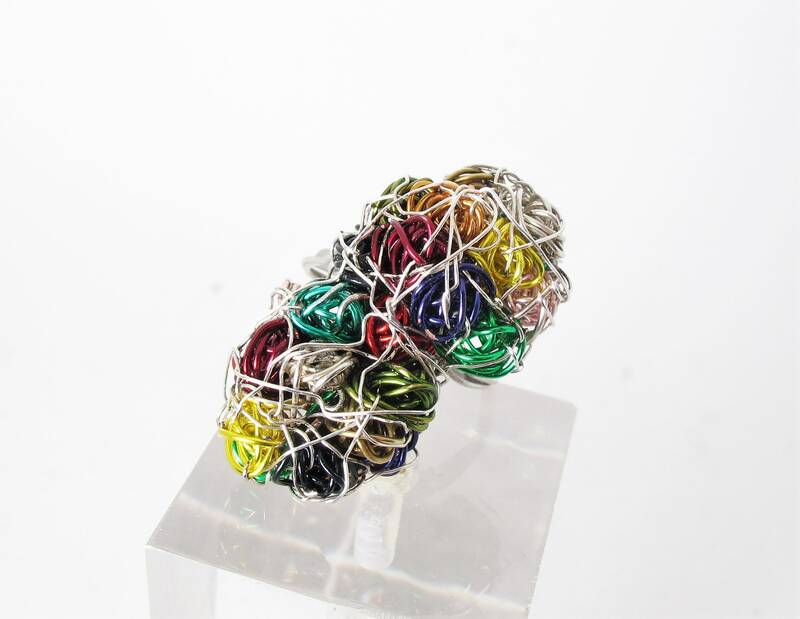 The height of the double art ring is 3cm. 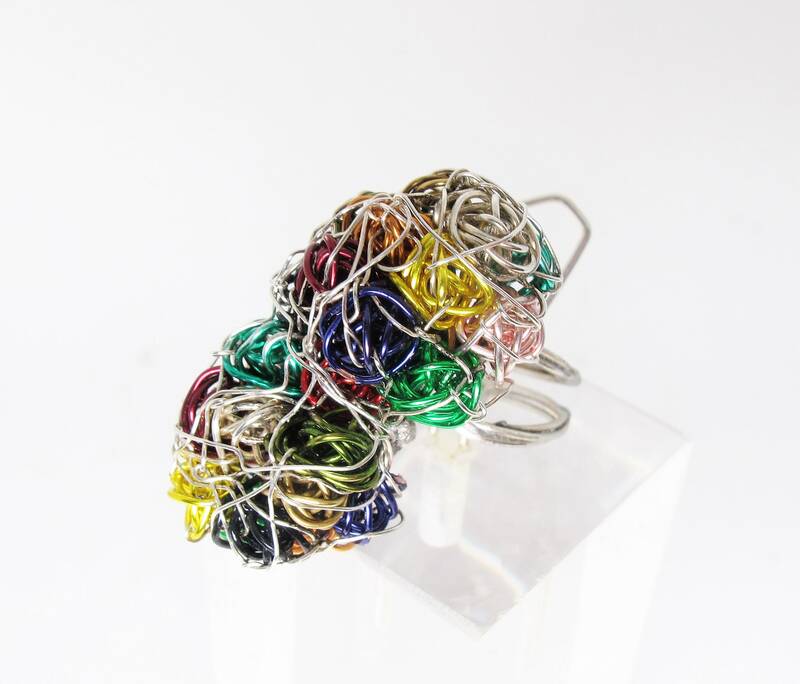 (1.18 in) and width is 2.5(0.98in). 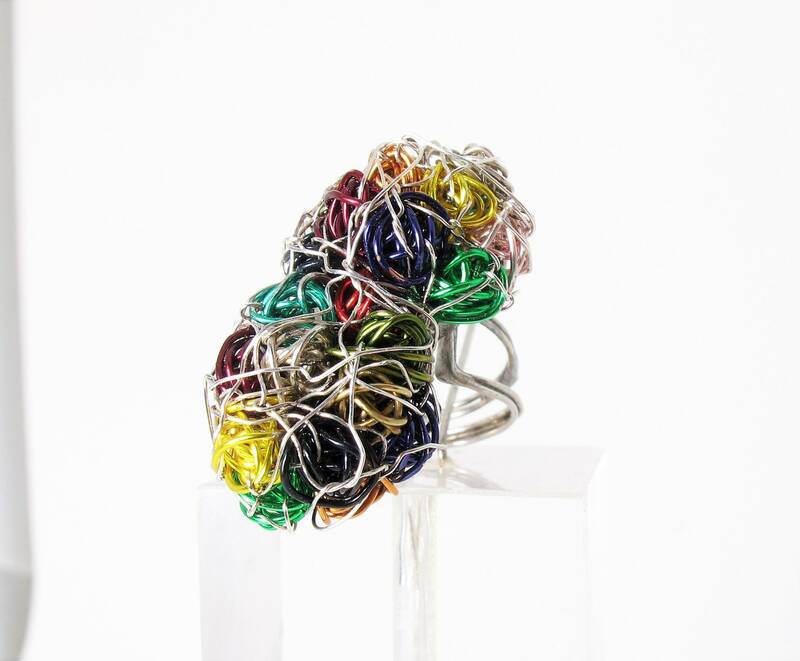 The band is solid silver Available in all sizes.